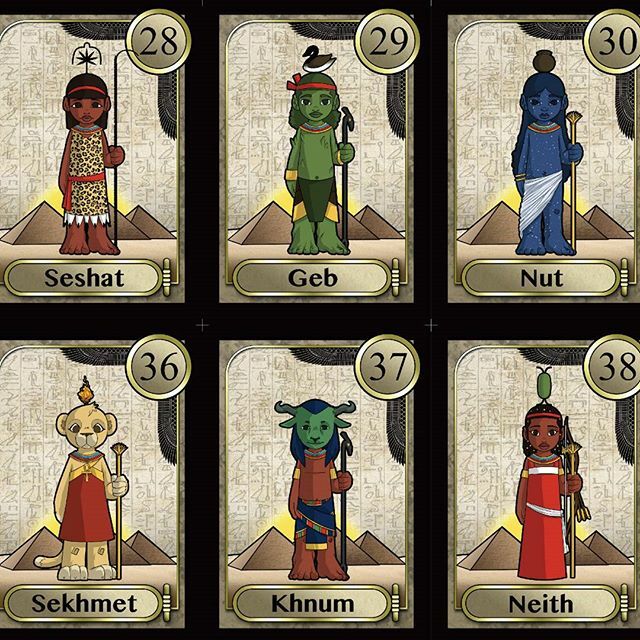 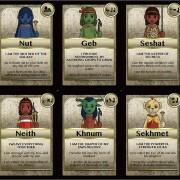 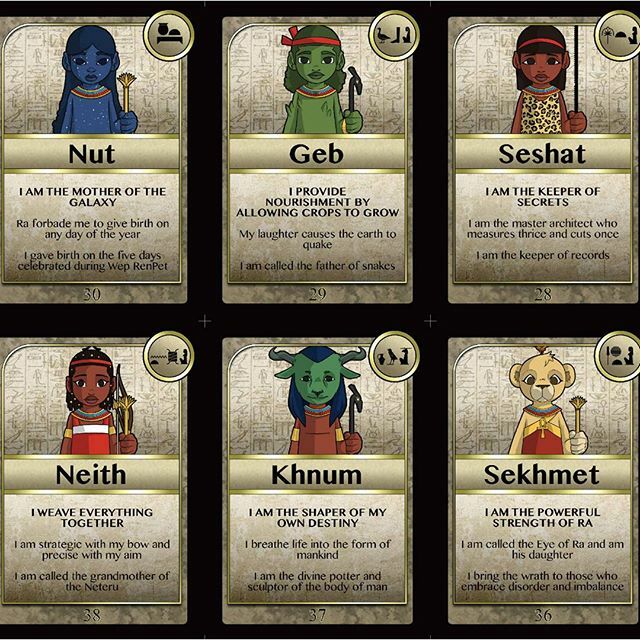 This deck of 42 cards was created for the purpose of teaching children, and those seeking to learn, about some fundamental images of Kemetic language and culture. 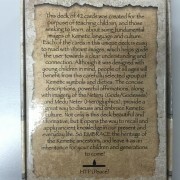 Each of the cards in this unique deck is easy to read with vibrant images, which helps guide the user towards a clear understanding and connection. 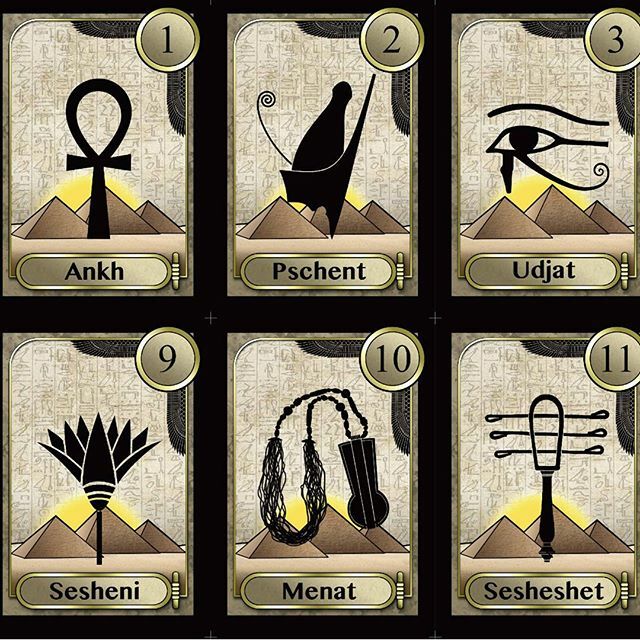 Although it was designed with young children in mind, people of all ages will benefit from this carefully selected group of Kemetic symbols and deities. 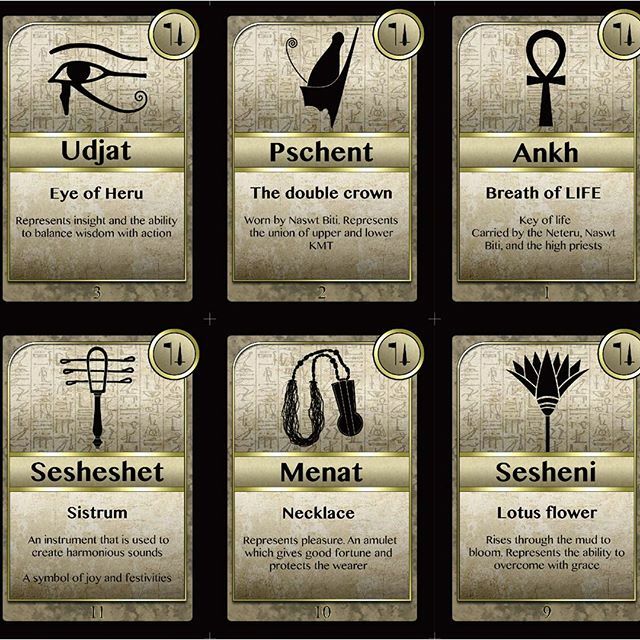 The concise descriptions, powerful affirmations, along with imagery of the Neteru (Gods/Goddesses) and Medu Neter (Hieroglyphics), provide a great way to discuss and embrace Kemetic culture. 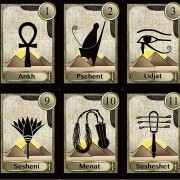 When you begin to master the knowledge and get a deeper understanding of the principles associated with the Kemetic deities and symbols, you can even begin to use them to set intentions and charges for yourself in your daily activities. 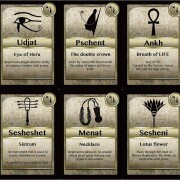 Just pull a card and see where the divine forces of the universe will direct your focus! 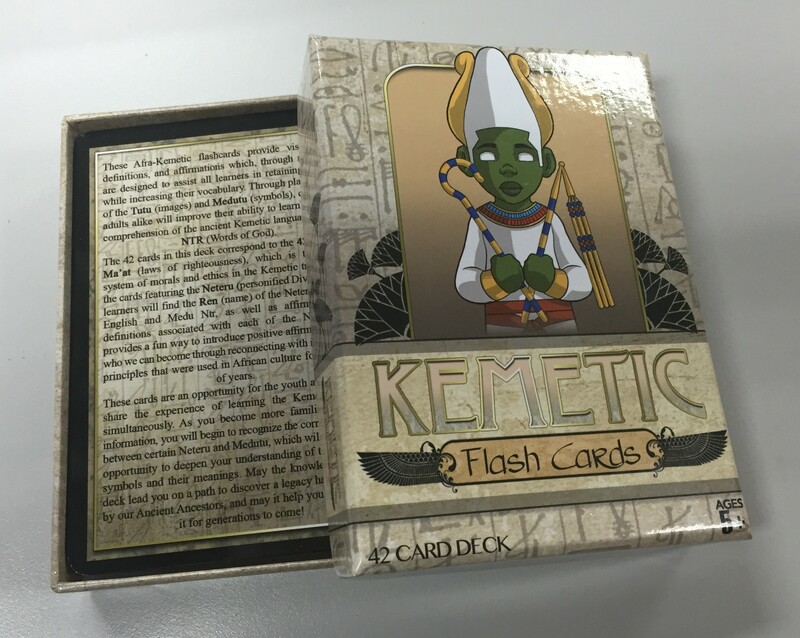 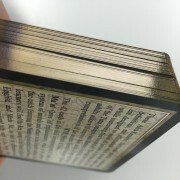 The cards in this deck are made with a heavy and durable card stock, coated in a stunningly vibrant gloss, and have edges that are lined with a magnificent gold foil. 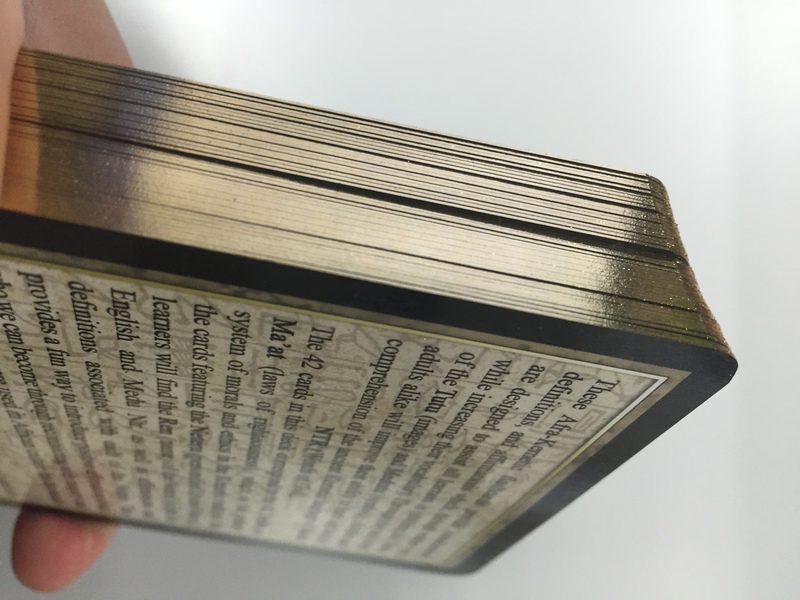 A little larger than 4 x 5, these cards are perfect for little hands and big enough to showcase all of the art and information in an eye catching way. 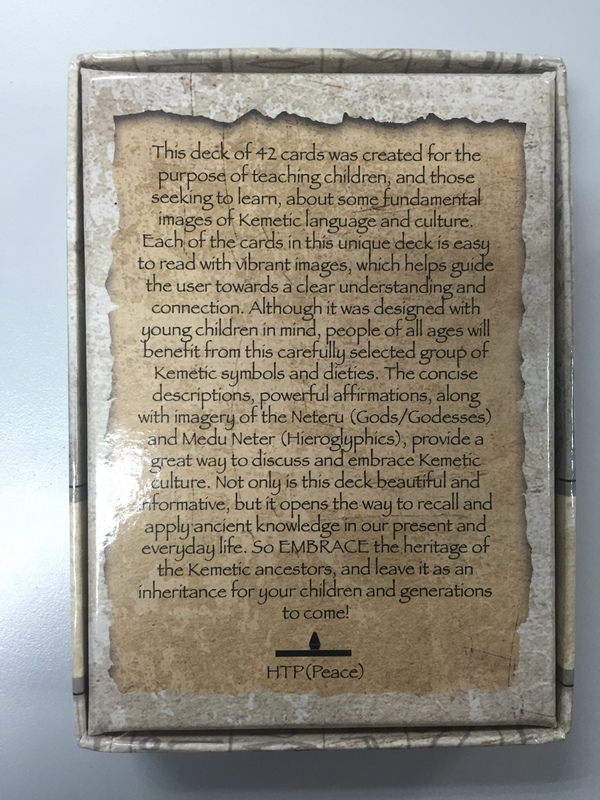 Not only is this deck beautiful and informative, but it opens the way to recall and apply ancient knowledge in our present and everyday life. 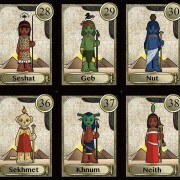 So EMBRACE the heritage of the Kemetic ancestors, and leave it as an inheritance for your children and generations to come!